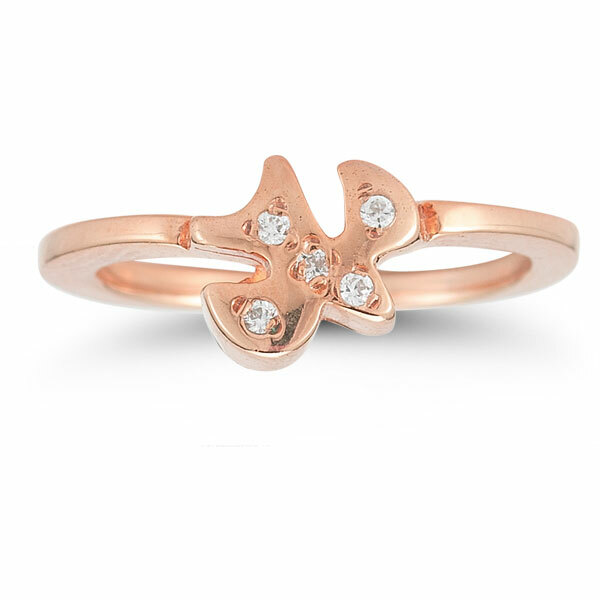 Fashion and faith rest comfortably on the wings of a dove in this engagement ring piece by Apples of Gold. 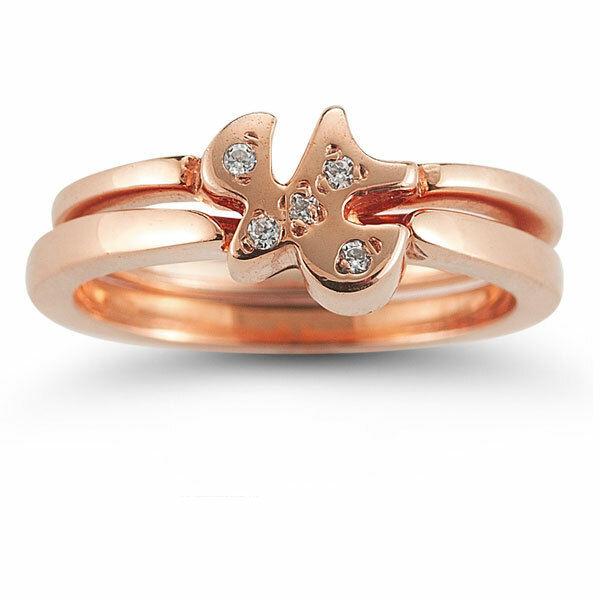 The dove is crafted of premium 14K rose gold and creates a truly rosy glow for this piece. 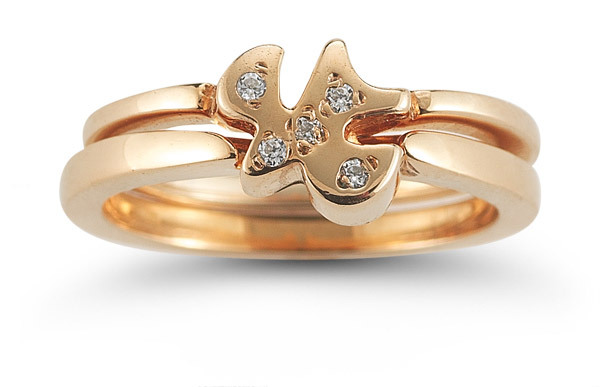 Sparkled over the dove are five diamonds that provide just the right element of shine to this ring set. 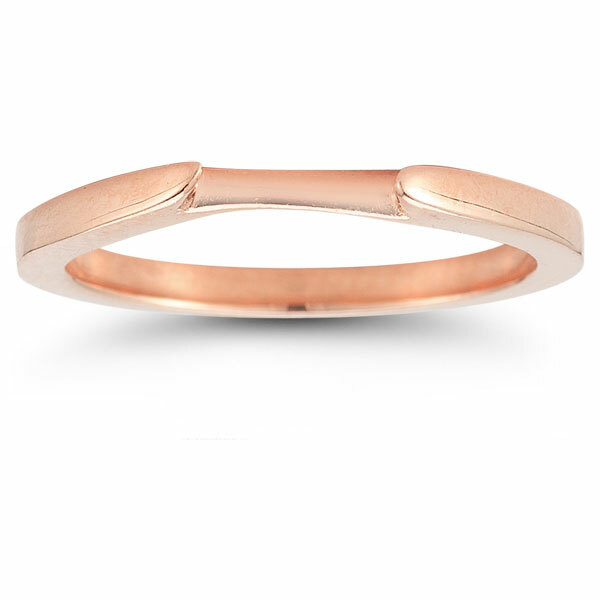 The two bands are also crafted of warm rose gold and then given a smooth polish to complete the look. Apples of Gold Jewelry guarantees the Holy Spirit Dove Diamond Engagement Ring Set in 14K Rose Gold to be of high quality and an authentic engagement ring with real diamonds, as described above.